A new mobile app has been launched which aims to tap into the creativity of people with autism to find new tech solutions to some of their everyday challenges. ‘ASCmeI.T.’, a free mobile app available on Android and Apple, has been developed by a consortium of researchers from the universities of Southampton, Bath and Sussex. The app has the simple aim of involving people with autism in the development of new technologies that could help them. It enables people with autism spectrum conditions – as well as families, teachers, professionals and anyone who supports someone with autism – to share their ideas on what kind of new technology would best help. 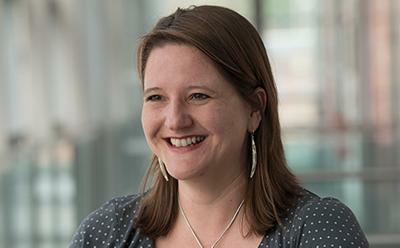 Dr Sarah Parsons of the Southampton Education School at the University of Southampton leads a seminar series on innovative technologies for autism. The idea of asking the community about useful technologies came from a talk at one of her events by a speaker with an autism spectrum condition. Despite there being more than half a million people living with autism in the UK (around one in every 100), this is the first time such an initiative has been piloted. The researchers now hope it will lead to new developments – anything from technologies to support transitions, service delivery or inclusion through to learning, employment or addressing bullying – that will be uniquely suited to the needs of those with autism. Everyone associated with autism is invited to submit a video. In addition there is a competition being run for schools, entries for which will be entered into a prize draw to win one of 30 Raspberry Pi computers. The deadline for submissions for the school competition is midnight on Monday 30 November, although the larger project is ongoing and videos are always welcome. To download the app search ‘ASCmeI.T.’ via your app store. Find out more about the project here.